Putting together a practical budget for what a box gutter repair might cost you will involve talking to friends and neighbors who own homes with box gutters, pricing different repair material options, and speaking with contractors in your area who area experienced with these built in gutters. 1.The type of repairs being done. 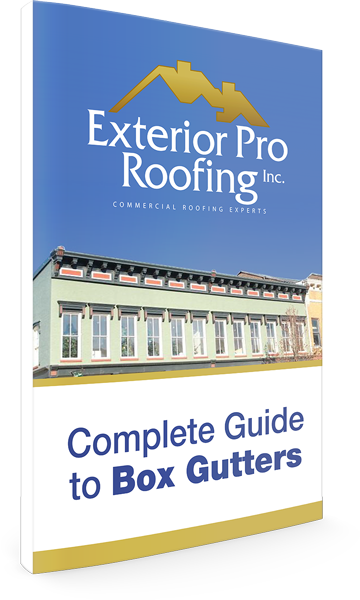 Short term fixes for box gutters such as a metal coatings or peel and stick products will cost less than longer term repair options like lining the box gutter with a roofing membrane. Not only are the materials to line the gutters more expensive than peel and seal or metal coatings, there is more time involved in the set up and installation process. That being said, the material cost of box gutter repair is relatively small compared to the labor and set up cost of the project. Try to find roofing contractors who have experience repairing and lining box gutters so more of the investment in your home or building goes towards the repair process and keeping workers safe than into on the job training of an inexperienced contractor. Keep in mind lining and repairing box gutters correctly is very much a niche market and you may have to interview several contractors before you find the right fit. Lining a box gutter will mean taking a membrane up under the existing roofing material that covers the steep slope part of the home or building. The three most common roofing materials on structures that have box gutters are asphalt shingles, metal roofing, or slate roofing. 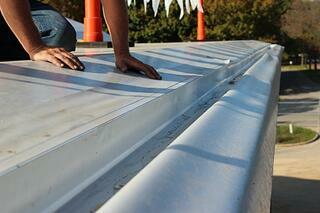 Creating a leak proof tie in between the gutter liner and roofing material is done the easiest with shingles. Asphalt shingles are easy to remove and replace and can be purchased in just about every hardware store or building supply house. 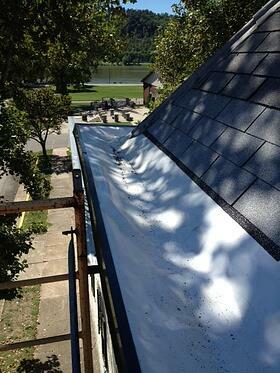 A much more time consuming task is to get the membrane liner up under an existing slate or metal roof. Plan on this being a factor when taking estimates for the box gutter repair. Try to locate extra slate tiles that closely match your existing slate ahead of time. It will be hard for the contractor know how brittle the existing slate is until he gets started. Having some extra pieces to replace slate tiles that break is a great idea. Start you search locally as slate tile in your hometown may match un nicely especially if it is the same kind and color but you can always check on line for re-claimed slate. If you home of building has standing seam metal roofing or the old style tin roof, make sure your contractor has experience working with metal and knows how to create the water tight seal between the existing metal panels and box gutter. 3. Building Height and Accessibility. Homes with architectural features like box gutters tend to be found in historically sections of town and are usually at least two stories in height. 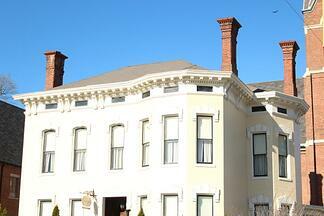 Side yards and streets can be narrow and hard to access in historic neighborhoods. To accurately budget for your built in gutter repair project you must take into consideration how difficult the job is to access. Obviously the higher and more challenging the location the more costly the project. Try to bundle other repairs along with the box gutter project to save future set up cost, doing a chimney cap, some painting, or maybe other roofing repair make sense while contractors have scaffolding and/or man lifts on site. Remember each property presents unique challenges when performing box gutter maintenance and repair. Regardless of what products you choose or which contractor does your repairs, safety is everyone’s responsibility.